delivering you to your destination on time and in luxury. Marietta & Atlanta Georgia area. We have updated and streamlined our website to provide you with faster online reservations and email notifications. Let us know what else we can do to make your trip more enjoyable. 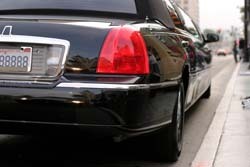 "I have been using Galleria Limo for over twenty years. The service they have provided is exceptional. The vehicles are immaculate and the drivers are all very professional. As soon as I get in their vehicle after a long trip, I am so relaxed that it feels like I am already home." "I have been a customer of Galleria Limousine for over 25 years. I have used them for service to/from the Atlanta airport on business as well as vacations. It's obvious from the number of years, that I have always been very pleased with the service. The drivers are always friendly and helpful with great stories to tell about Atlanta. Their limos are always extremely comfortable, in great mechanical condition, exceptionally clean and look new. And they are always on time, usually arriving at your house 5-10 minutes early. The dispatcher/owner makes you feel like family. I have and I still do recommend this service to family and friends; once you have tried them you will as well." "I've been using Galleria Limo to get to and from the airport at least once a week for the past several years and nobody can beat their service and price! Not only are they always punctual, but their drivers know how to get around the city on the days where it's almost impossible to avoid Atlanta traffic. Avoid the stress of getting to the airport and go with Galleria. There's no need to try anyone else in metro Atlanta!" Call 24/7 For Immediate Service, Free Quotes! Copyright © 2019 Galleria Limousine, All Rights Reserved.